I had no idea what Buzkashi was before yesterday, but after reading a few stories on it, I got hooked. There aren’t a lot of bats, balls or rackets in northern Afghanistan. There are goats, horses, men and dusty plains, and they have been there ever since Genghis Khan and his Mongol horde swept into the neighborhood in the 13th century. Their game, then, is simple. Men on horseback grab a goat from a chalk circle, carry it around a pole and drop it into another circle. No downs, innings, line judges or refs. Sometimes there are teams, and sometimes there aren’t. Sometimes the field is 200 meters by 200 meters, and sometimes it isn’t. And the goat? The goat might be a calf, but it’s always dead, just lying there with its head and hooves cut off. Grab the goat, bring it around the pole and put it in the circle. That’s buzkashi. Over the past several years, the ancient sport of buzkashi—Dari for “goat grabbing”—has turned into a big business in northern Afghanistan. Instead of sporting-goods manufacturers, sponsors usually are rival warlords who bet on their favorite goat grabbers. The buzkashi stars get a monthly wage, receive cars as gifts for a stellar performance and save enough money to afford a second or even third wife, the ultimate status symbol here. “I used to practice buzkashi on donkeys, now I drive a Lexus!” said 33-year-old champion Jahaan Geer from his saddle covered in bright hand-woven carpets. Mr. Geer used to play for Abdul Rashid Dostum, one of Afghanistan’s most brutal warlords in the 1990s civil war, but he recently switched to play for Kam Air, the Afghan airline, whose wealthy owner is one of the biggest buzkashi enthusiasts. Absurdly amazing. Both articles are good reads. A lot of former warlords-turned-businessmen are involved and it’s become a big post-Taliban reminder of humanity (and sometimes lack thereof) in Afghanistan. Reminds me a lot of Pro Thunderball. Circle of Justice has a better ring than gun circle. My whole family is in New York right now–mom, brother and sister, their spouses and my niece. I’m at my sister’s house, taking care of her dogs. It’s a bit lonely here, but not having a dad is kind of liberating today. I have nowhere to be except by his graveside. I have what feels like all the time in the world to reflect on his life and our mutual love of baseball. He was a great man. He was beloved by many and he had an ability to draw people close–to get them to trust him. He never took advantage of that. He loved to talk to people, but felt most comfortable with the ones he loved. He loved his mother and struggled at times with the guilt he felt caring for her. He loved the finer things in life. He loved golf too much. He lost his brother, business partner and best friend, Billy, in the mid-90s and struggled with that for years. He had a huge collection of wines, some of which he told me to save for my wedding (when I was 15) and my sister’s unborn daughter’s wedding. He loved telling people what they should and shouldn’t do. He also had some hard luck. After he retired, he went to get his knee repaired and then found out he needed heart surgery. Just months after getting heart surgery, he was diagnosed with pancreatic cancer. He was 60. He died 14 months later. His greatest love, besides family, was baseball. His father had taught him the game and he taught each of us–my brother, my sister and myself. He preached the beauty of the game. 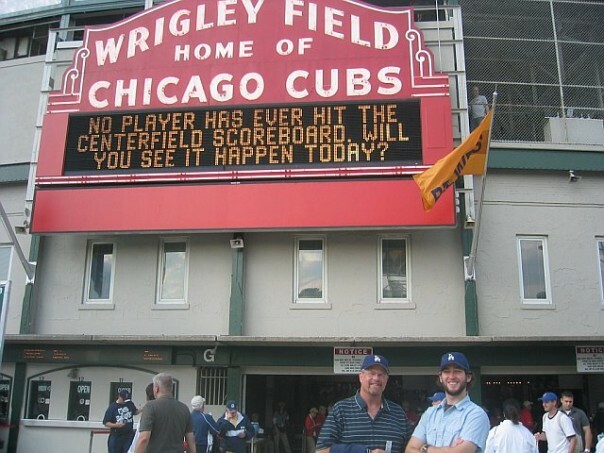 We watched the Dodgers for years. His father had season tickets and passed them down to him. Now they’re split between the three of us and our mom. Of all the times to die, he died the day before the 2009 NLCS began. The four of us (myself, my mom, my sister and my brother) went to game 1 the next night and it felt like the Dodgers needed to win. They needed to win for us. They owed us. They owed us that moment that I never got to have with him; that transcendental victory and happiness. They owed dad. Mariners came up with a cool promotion, check it out. August 28 of this year will be Larry Bernandez Bobblehead Day. Cute, quirky marketing turned a regular day at the park for a not-so-good baseball team into a pretty cool day. Congrats to the Mariners’ marketing team for the coup. It’s apparent I don’t have the time to do the kind of blogging I was doing while I was unemployed. My job is pretty demanding and I don’t have the time I used to, though that’ll come intermittently during breaks. In my time since working at this job, I’ve churned out a couple of articles that weren’t as well-researched as they should’ve been. That said, I’m gonna aim for better, more focused posts. Consider this step 1. I’m teaching kids right now about the presidency and presidential prerogative. Right now I’m trying to get my house in order. My kitchen is finally back together, I just got a new roommate, my job is going well and my car is fixed. It’s a good feeling. That car problem has been going on for almost 10,000 miles (HINT: don’t go to the Glendale VW dealership). More posts are coming next week as the rest of my life gets balanced. This is an excellent shot, not for any other reason than what’s in it. It encapsulates the agony and ecstasy in sports in one single glance. It is one of hundreds of thousands of shots taken that night and if we call it the best shot of the season, it is one of tens of millions of shots. Taking 1000 photos a night and publishing <20 isn't uncommon, and digital photography has a lot to do with making that easier and cheaper to do than it was 50, 20, heck even 10 years ago. Photogs can take 10 shots per pitch and have memory cards that can hold thousands and thousands of photos as raw jpgs. They have lenses that can zoom in on the facial expression of the right fielder. The rest of it depends on where the photog chooses to take these shots. Most photogs are barricaded into one small seat next to the dugouts for the entire game, so it becomes a luck of the draw type thing. Every photog in that stadium had shots of Howard standing at home plate like that, one just had such a good angle he got in Howard's huge mug with Wilson/Posey celebrating like that. Zooms on most of these cameras are so extreme, you can get detailed shots of faces. On top of that, these are basically the best of the best photos and they're not from one specific photog. It’s a similar process today, except you can see the full photo almost immediately. I think some photogs even have uploaders on their cameras that send their photos to a remote computer. There’s a race to see who can get their photos up the fastest. Leifer did a lot to expand boundaries of sports photography, but now there’s a lot of rules of what a photog is allowed to do in a ballpark. It’s kind of sad, but necessary when so many people want a piece of the pie. Also photogs really love taking low-angle shots. I don’t know why, but when you look at spring training photos this February/March, count how many are non-game-action low-angle shots. 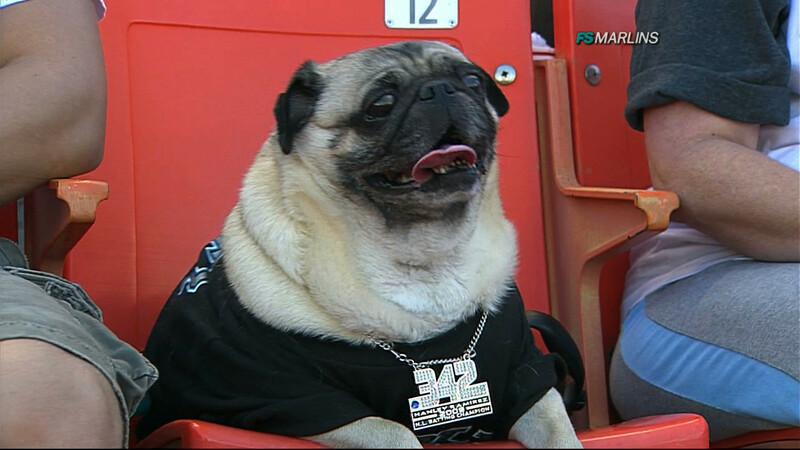 Is This Dog Cooler Than Bryce Harper? This was also created last night. Watching the Giants succeed where the Dodgers failed two years in a row might break my heart. C’mon, Philly. Please.